Interesting sermon. Sounded very Pelagian. It's ironic that baptismal regeneration is taught as "Gospel" while solid Biblical teachings like Total Depravity and Effectual Callling are vilified as "false doctrine" and heresy that must be "stamped out." 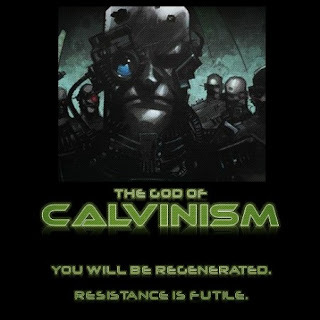 But I remember when I didn't understand Calvinism, and misrepresented it similarly. Thank God for His great mercy!